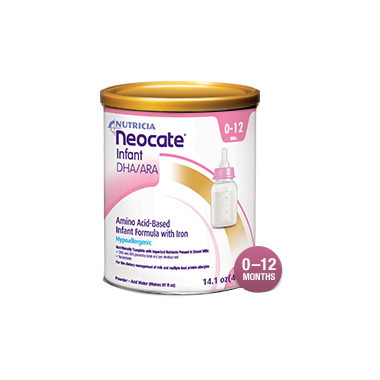 Neocate Infant DHA & ARA is an amino acid-based formula with the added benefits of DHA, ARA and nucleotides. This hypoallergenic powder formula is easy to mix, just simply add water. I am a breastfeeding Mom but this formula is nice to have when I have to leave my son who has dairy and soy allergies with the my husband or the grandparents and I don't have time to pump. I also use it daily in my son's oatmeal. 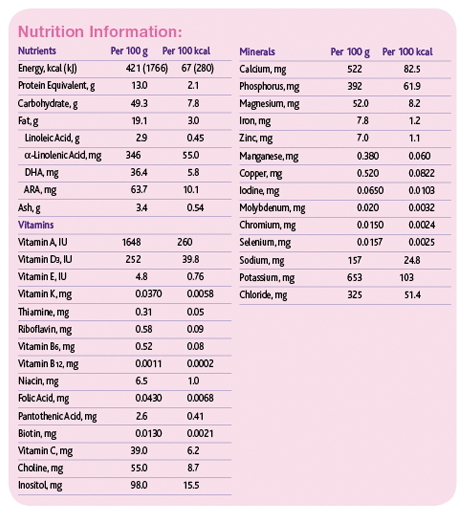 Great product - a vegan formula is important to me to provide to my son. Great product! My son began to thrive after staring him on Neocate after being diagnosed with a Milk allergy. It is completely dairy free. My son had no issue with the taste. Shipping is a little here and there as far as processing and shipping timeframes. Overall Iâ€™ve have a good experience. Although expensive, Neocate has been a great formula for my little one with a CMP allergy. It is easy to mix and I appreciate the powder formula for when we are travelling instead of lugging around pre-mixed formula.